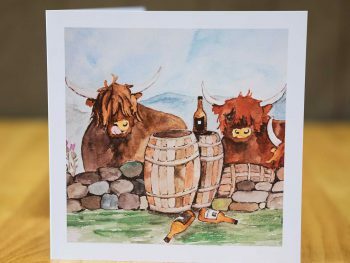 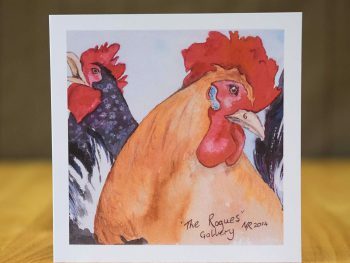 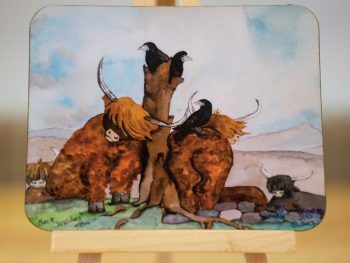 Back Scratchers - Card - Mike Ross Arts - Mike Ross, Highland Artist. 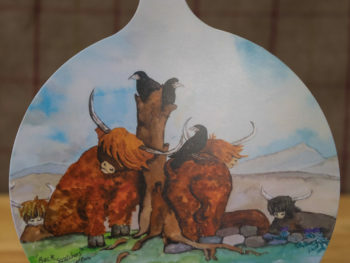 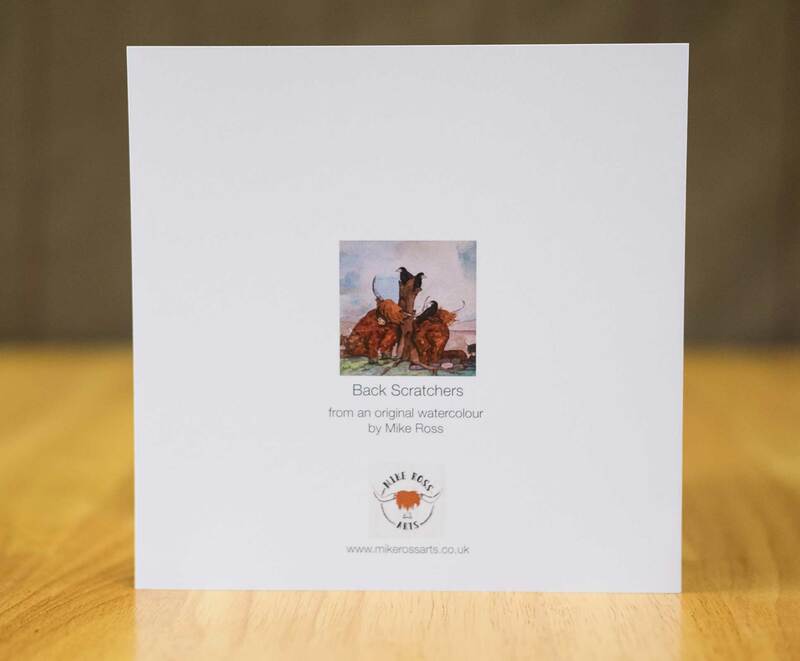 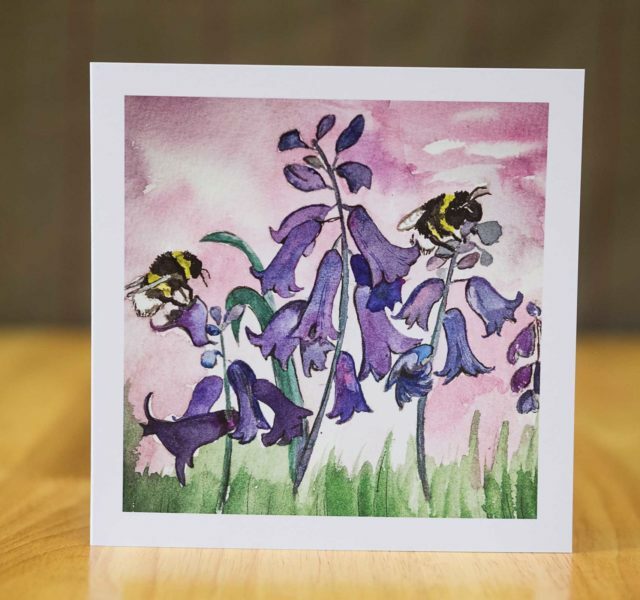 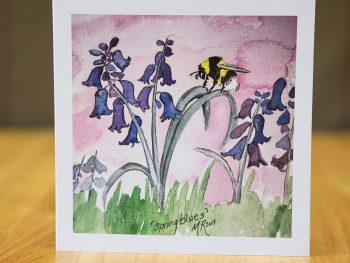 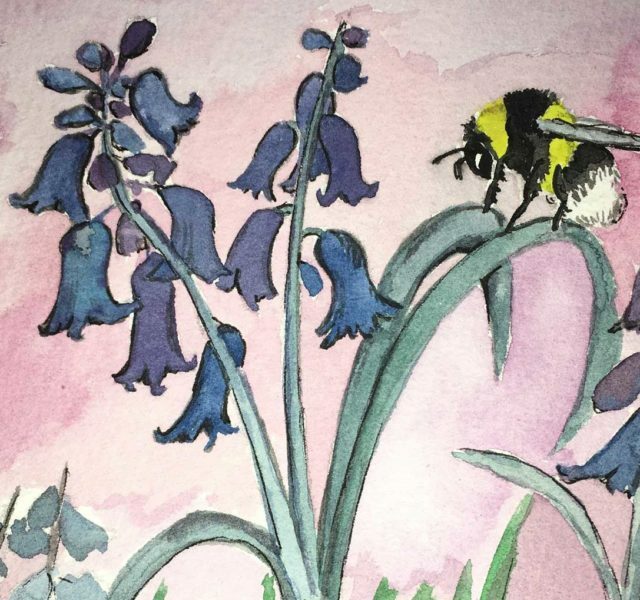 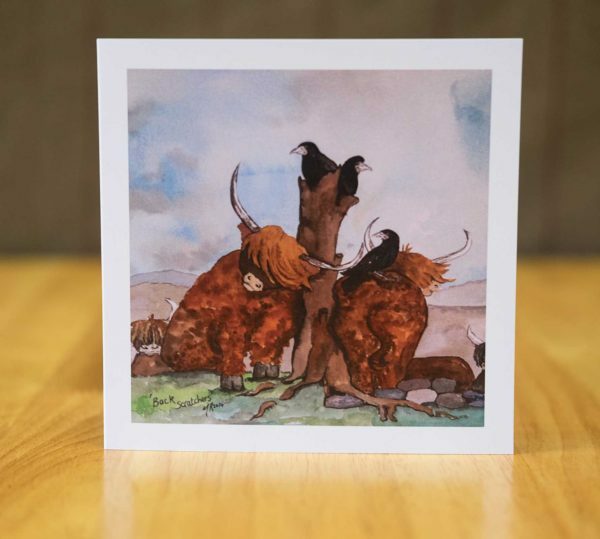 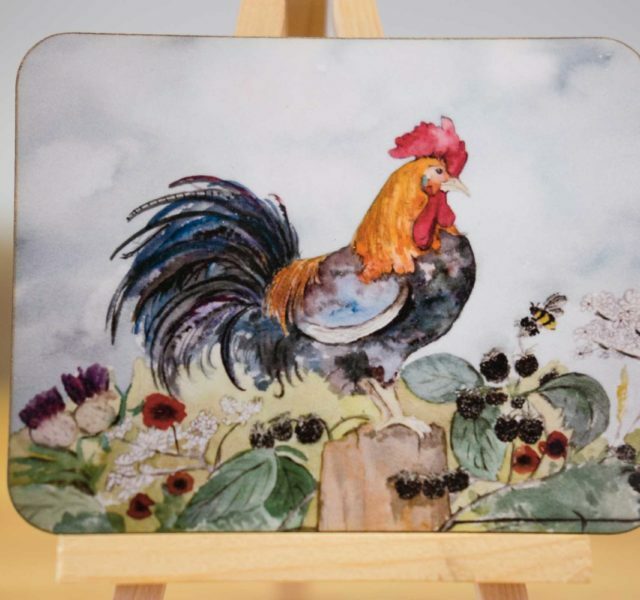 Back Scratchers – Card, from an original design by Mike Ross, Highland Artist. 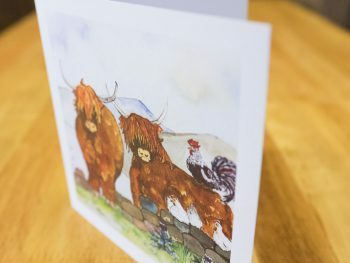 The cards are cellophane wrapped and are blank inside so you can create your own message.